Soundportraits: a small Canadian company - What is a Soundportrait? A Soundportrait is a collection of engaging stories, an audio memoir to be cherished for years to come. A Soundportrait is audio art. Just as a portrait artist captures someone's personality with paint and canvas, a Soundportrait uses the human voice. The colours and hues of a Soundportrait are defined by the timbre of a voice, stories and pauses, laughter and reflections. 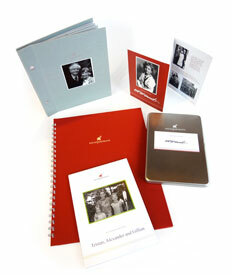 Soundportraits come in three sizes: the Soundsketch, the Soundportrait, and the Soundtribute. We also offer a variety of add-ons to customize your Soundportrait. © 2016 Soundportraits™. No information on this site may be reproduced without the written permission of Soundportraits™.